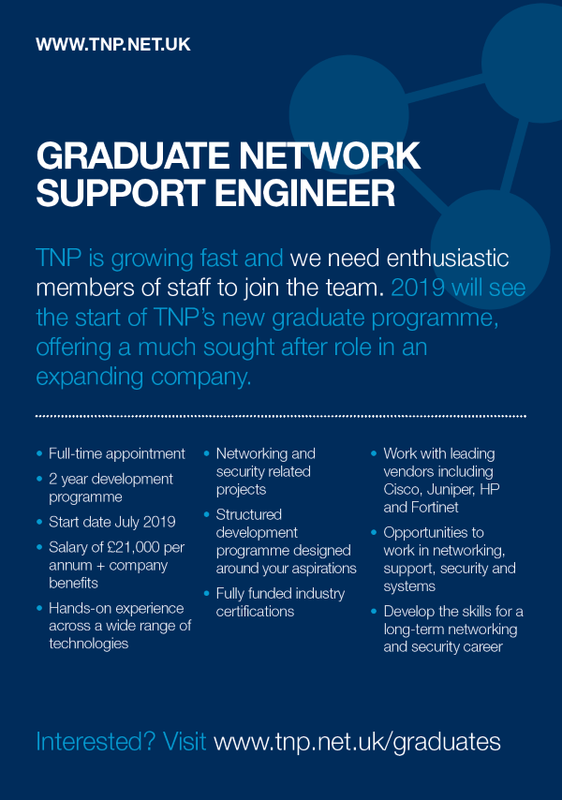 TNPs Graduate program offers an opportunity for new graduates to receive focused development within a structured programme leading to a Network Support Engineer role within TNP. 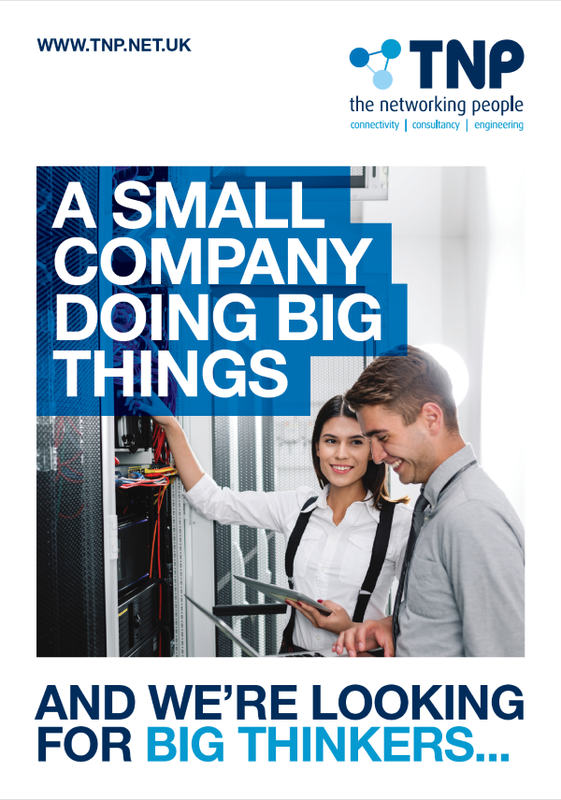 Over the initial 2 years the successful candidates will be involved in network and security related projects working with leading vendors including Cisco, HP, Juniper and Fortinet. They will gain hands-on experience across a wide range of technologies and have the opportunity to gain industry certifications. The 2-year programme will include assignments within each of the following areas of TNP; Networking, Security, Systems and Support (Ops Desk). At the end of the 2 years assuming relevant criteria has been met they will automatically become a Network Support Engineer. Recruitment for the 2019 intake has now closed, details for the 2020 intake will be released later this year, if you would like to be kept up to date please email recruitment@tnp.net.uk with your contact details. In accordance with GDPR please refer to the accompanying Privacy Statement for details of how your application data will be processed by TNP.